This is the operation Louise will be having done next summer. The little girl, Emily, is the age Louise will be and has already had the same two cardiac surgeries as Louise. I'm not 100% sure whether it was the wisest thing I've ever done to look at this. On the other hand, these pictures are testimony to just how skilled and utterly amazing these doctors are. We are so blessed to be able to access these skills for Louise. This operation took place only yesterday so send some prayers Brave Little Emily's way. 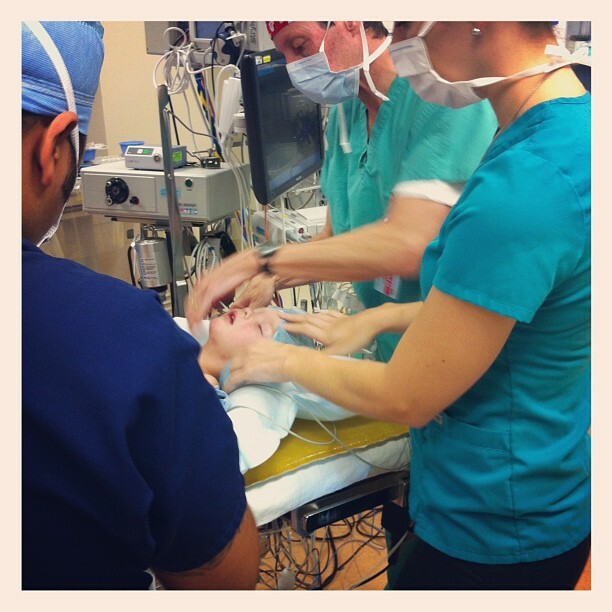 Click here to go to the Blog page of Arnold Palmer Hospital to see the minute by minute photographs of Emily's surgery. WARNING...if you are squeamish, maybe not, the images are quite graphic, but AMAZING!! !